The success of their exploitation depends on your project, so we project and study every stables in particular. We are supported by extensive experience of years, and we offer a comprehensive program for you to have a modern stable. 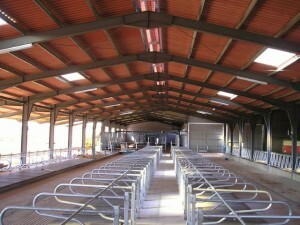 The current trend towards livestock housed cubicles free and has required the development of new techniques to reduce labour , facilitate the work and give more comfort and hygiene to livestock. In particular, to solve the problems of cleaning and handling of manure scraper system using mechanical and hydraulic. Now more than ever necessary to increase productivity in order to offset the decline in prices.